Flexinite Grip. Black nitrile coating on seamless polyamide liner. Ideal in dry and light oil environments. Excellent abrasion and dexterity. Breathable and launderable. Level 3 and 5 are made with the Spectra® fibre from Honeywell, a high-performance-polyethylene (HPPE) fibre, one of the strongest and lightest manmade fibres in the world. Black coating well appreciated in dirty environment. Available in polyurethane (dry environment) and nitrile (wet and greasy environment) coating. 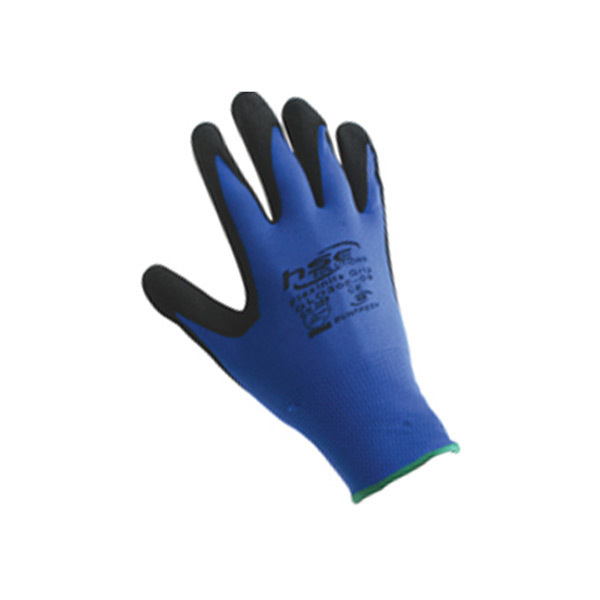 Specially developed for workers handling in dirty environment.